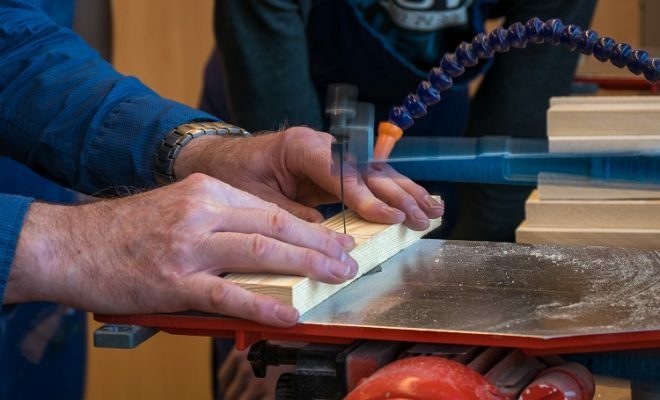 When it comes to cut at a wide range of angles, there aren’t many tools available in the workshop which can produce as accurate results as that of the miter saw. Incorporating a fixed blade, it allows users to adjust the saw as per the cut which they’re going to make on the material. When it eventually results in making precise cuts, it does so at a much-enhanced rate so that you can finish your project in a very short span of time. Nowadays, there is a wide range of miter saws which are available in the tool marketplace. Starting from cordless vs corded models, it varies in terms of single-bevel vs double-bevel and compound vs sliding compound miter saws apart from a series of other useful features. 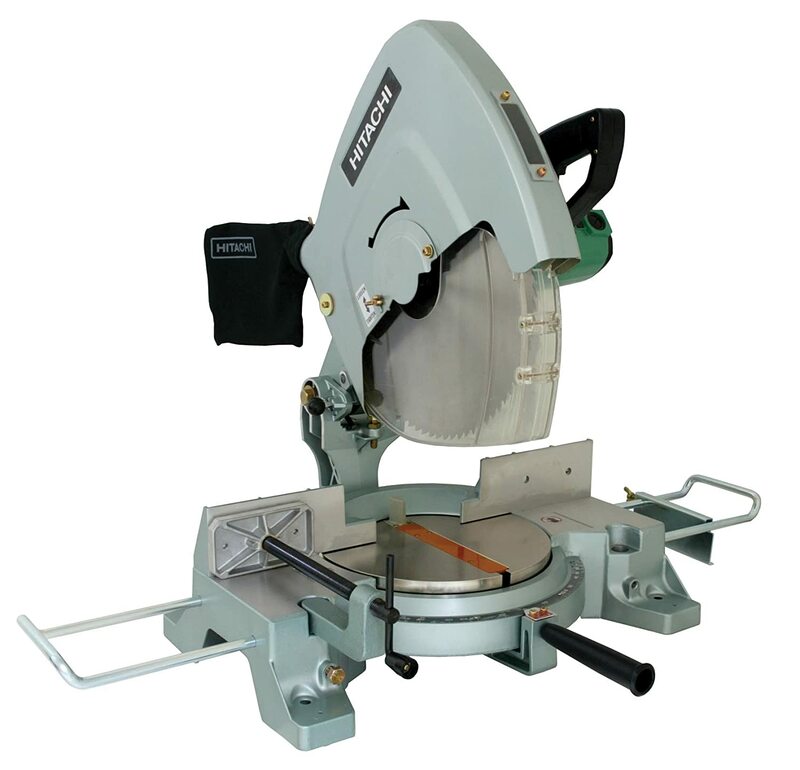 Therefore the search for the best miter saw 2019 which will satisfy your woodworking needs can be difficult. So, if you’re looking for a comprehensive guide regarding the miter saw reviews, which is solely based on fact-based information, you’ve just landed in the right place. After extensive research and testing a series of miter saws, I’ve compiled this guide incorporating everything which is there to be known about this equipment. 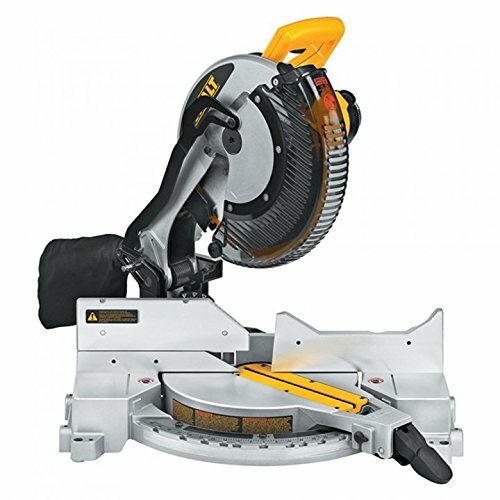 Coming from a trusted manufacturer, which has produced a series of high-quality miter saws in the past, the DEWALT DW715 15-Amp 12-Inch Single-Bevel Compound Miter Saw combines portability with power. Featuring a 15-amp motor, this machine runs at a fast speed of 4000 rpm which makes it one of the best 12’’ miter saw which you could purchase. With an overall weight of 42lbs, this equipment is extremely easy to transport. This particular feature is quite beneficial for all those workmen who’ve to work on relatively larger workplaces. When any such scenario would require your tools to move from one place to the other on a consistent basis, the fact that this isn’t the heaviest machine on the market makes it easy to maneuver. Furthermore, it also has a convenient handle so you can move it without any hindrance. Featuring a carbide blade, the 12’’ compound miter saw can produce bevel cuts in either direction. When you can rotate it in between 0-48 degrees on the left side, it can also be rotated within the range of 0-3 degrees on the right side. However, when a majority of bevel cuts, which can be made with this equipment, have to be placed on its left side, that’s why it is normally referred as a single-bevel miter saw. The blade of the DEWALT DW715 can be angled in such a way so that it can produce two cuts – miter and bevel – at one time. Furthermore, this machine comes equipped with 11 positive stops so that you can easily adjust this saw to common cutting angles. However, if you’ve to ignore these stops to get through a cutting job, this unit incorporates meter detent ride which ensures that the blade can be directly adjusted to a particular angle without falling into the grooves. 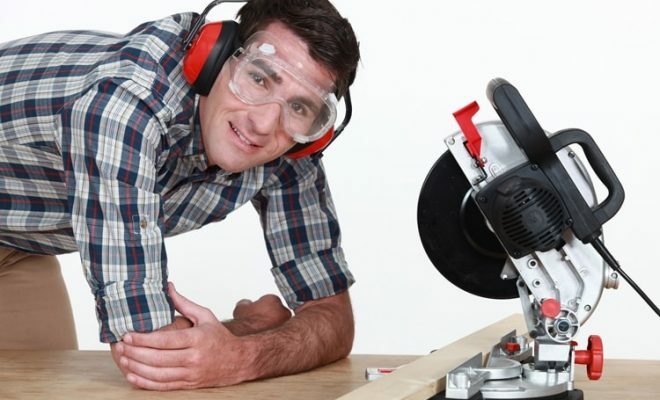 Regardless of the type of miter saw which you’re working with, it is important that it should come with adequate safety measures. The DEWALT DW715 incorporates a blade guard which completely covers the blade when it isn’t working. But as you lower the blade to cut a piece of material, it automatically gets out of the way for ensuring a hassle-free work. Incorporating a standard 3-year warranty, the DEWALT DW715 is ideal for all those customers who are looking for a hi-fi yet reasonably priced miter saw. Even though this unit is devoid of the laser, but its lightweight design and ability to cut through materials of decent thickness make it more than capable of handling a series of woodworking projects. When it comes to Hitachi, this manufacturer has been manufacturing high-quality tools for the past 5 decades. Based in Tokyo Japan, this brand makes sure that all their products come with the latest hi-fi technology. Talking about the Hitachi C10FCG, this is a 10’’ Compound Miter Saw from this company which means that apart from making miter cuts, this particular tool can also make bevel cuts. This corded electric miter saw runs on a 15-Amp motor and when it comes with an impressive 5000 RPM, it means that you can make both the aforementioned cuts with ease. The Hitachi C10FCG is one of the lightest single-bevel compound miter saw in today’s market as the overall weight of this tool is just above 24lbs. When it makes it quite convenient to handle, you can easily carry it from one place to the other, in your workplace, single handily. For woodworkers who demand utmost precision in their work, this 10’’ miter saw comes with an impressive bevel range of 0-45 degrees on its left side along with a miter angle range of 0-52 degrees on both sides. The Hitachi C10FCG incorporates spacious table along with an imperious clamping mechanism which makes it easy to hold the material under consideration in place. For simple miter adjustments, the best 10’’ miter saw features thumb actuated stops so that you can easily adjust the saw with the flick of your thumb. However, if you’re looking to cut metals with this tool, you have to replace the blade, which comes along with this purchase, with a more abrasive type of blade. The Hitachi C10FCG is ideal for all those customers who don’t want to spend heavily on this purchase. 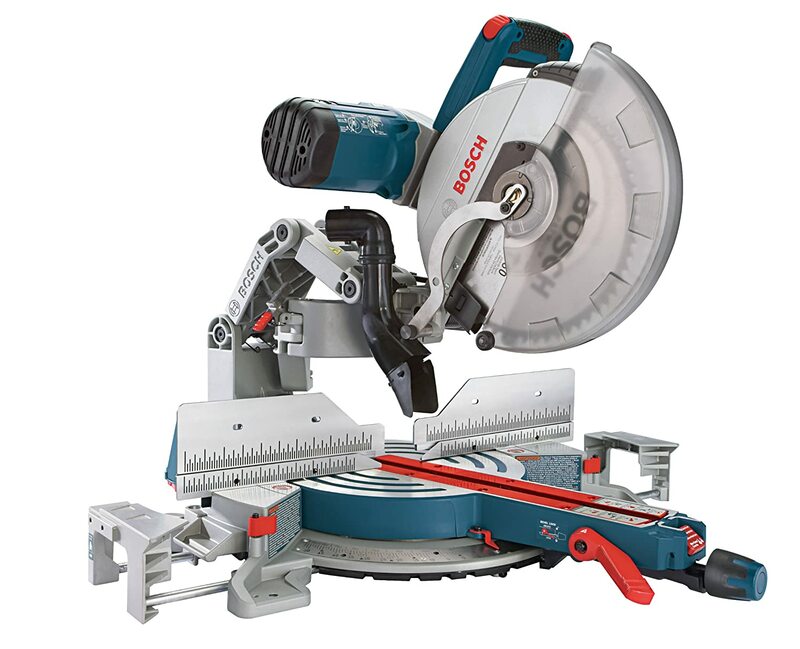 Incorporating a powerful 15-Amp motor, the fact that this machine can make both, bevel cuts and miter cuts, with utmost accuracy makes it one of the best miter saw 2019 for the money. One of the very few miter saws which come with a 15’’ blade, the Hitachi C15FB is designed especially for the heavy-duty applications which require a powerful cutting tool. 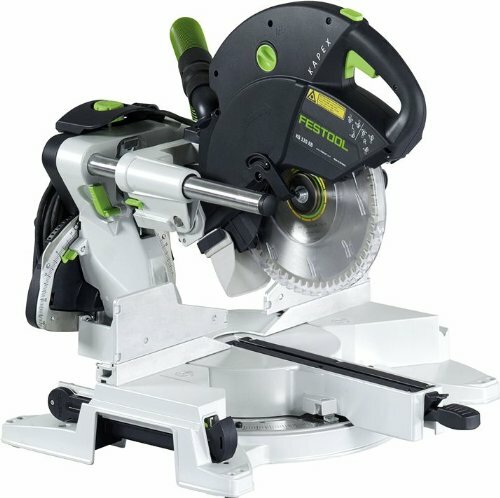 Apart from its unique blade size, which is very uncommon in other miter saw reviews, this product has still a lot to offer to its potential customers. Featuring 11 positive stops, this machine makes it considerably easy to work at a specified angle thanks to its easy-to-read meter index. While working with wider materials, you can use the extension wings which makes sure that you don’t have to put yourself at risk while operating this miter saw. Moreover, this isn’t a cordless miter saw as the Hitachi C15FB is powered by an electric source. Featuring a massive 15’’ blade, the Hitachi C15FB is powered by a 15-Amp motor which helps the blade to run at an impressive 3400 RPM. Thanks to such a powerful construction, this machine makes short work of cutting through dense materials. When it’s cutting range lies up to 4.75 inches in thickness, it goes up to 7.5 inches when it comes to the width of a material. 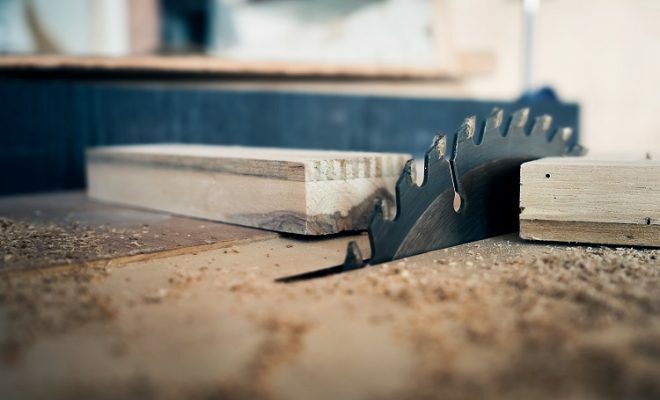 As a result, the combo saw blade, which comes integrated into the Hitachi C15FB, can be used on plywood, hardwood, plastics, and concrete along with various other materials and it will always come up with the best possible results. Weighing in at 55lbs, this is not the lightest miter saw as compared to other such products in this category. But having said that, such a sturdy construction helps this unit to stand regular wear and tear as you can use the Hitachi C15FB for years to come. Moreover, when the manufacturer is offering a five-year warranty along with this purchase, you don’t have anything to worry about the performance of this 15’’ miter saw. For the sake of your safety, the Hitachi C15FB comes with an electric brake which, once applied, stops the movement of this blade in a matter of few seconds. For engaging the brakes, you just have to release the trigger which is provided on one side of the handle. If you often have to work in heavy-duty applications, where the ordinary 10’’ as well as the 12’’ blades aren’t quite suitable, the Hitachi C15FB is worth a try. When its increased blade size makes it an ideal cutting tool to perform even the toughest cutting jobs which one could imagine, it also comes with a 5-year warranty to give you a decent value for your money. Once, while working in my workshop, I tried to find a miter saw which can be used on a number of different materials. Even though I didn’t find a suitable cutting tool at that moment, but I’ve found one know after a long time. Want to know more about it? Have a look at the Evolution Power Tools RAGE3. The latest product from Evolution Power, which has manufactured some top quality cutting materials in the past, this 10’’ sliding compound miter saw incorporates a tungsten carbide tipped blade. When this blade allows you to make miter cuts, compound cuts, and even bevel cuts as well, it does so with a single saw and a single blade. The Evolution Power Tools RAGE3 comes with 9 positive miter stops, which are integrated into all the right positions for a woodworker, along with a 0-45 degrees miter angle range on both sides. The same goes for its bevel angle range (0-45 degrees) but when this is a single-bevel miter saw, it can produce bevel cuts in one direction only. The 10’’ miter saw has a cutting capacity of 1 -1/2 inches when doing bevel cuts and up to 8 -1/2 inches when doing a miter cut at an angle of 45 degrees. Apart from cutting woods, plastics and pipes with this tool, you can also use it on mild steel up to 6mm of thickness. One thing which is very impressive about this machine is that even after cutting thicker materials, it tends to produce very little burr along with zero heat buildup. One thing which woodworkers often complain about miter saws is their vulnerability to making slight errors in misjudgments. Regardless of the arrangements which you might make with this tool, nobody knows for sure where exactly the blood is going to cut the material as long as both of them comes in contact with each other. In order to solve this problem, the Evolution Power Tools RAGE3 makes use of a laser guidance. In this way, the laser will shine directly at that particular spot which the blade is going to cut which, as compared to other 10’’ miter saw reviews, makes this one much more accurate. And when the laser mechanism can be calibrated as well, you can keep using this particular feature for an extended duration of time. There is not a single miter saw in the market which you can use for your entire lifetime. However, Evolution Power Tools are of the view that this product can be used – without any hindrance – for at least 3 years. And that’s exactly why they’re offering a 3-year limited warranty with the Evolution Power Tools RAGE3. Available at a very affordable price, the Evolution Power Tools RAGE3 is designed for all those of you whose job isn’t limited to work with specific types of materials. When this saw can cut wood, plastic, and metal, you can also use it on wood with nails. One for the beginner woodworkers, who often require some kind of assistance from their cutting tools, the SKIL 3317-01 is a portable unit which comes packed with a lot of hi-fi features. This model features Quick Mount system which makes it easy to assemble, unlike a wide range of other miter saw models, for the newbies. This single-bevel miter saw comes with a bevel range of 0-45 degrees along with several adjustable bevels stops through this range. As per its miter angle range, it starts from 0 degrees and goes all the way up to 47 degrees on both left and right side of this model. Nobody wants to work with a heavier miter saw which tends to inflict back pain at the end of the day. Luckily, there is no such thing with the SKIL 3317-01 as the overall weight of this unit is just 25lbs. When it makes it easy to move this unit from one place to the other, it also saves you from exerting a greater amount of force while working with this model. As evident from its name, this particular feature is essentially helpful for a beginner who often finds it tough to make straight and accurate cuts. When the laser light shines directly on a particular spot of the material with which you’re working, it not only enhances your accuracy but at the same time, it also enhances the overall speed of your work. While dealing with larger pieces of lumber, the SKIL 3317-01 incorporates a sturdy table extension along with extension rails on both left as well as the right side of this table. When it makes it easy to handle bigger chunks of wood, you can also keep the materials from moving with the help of clams. If you’re looking for a lightweight yet high-performing miter saw, one which can make precise cuts without any discrepancy, the laser-guided SKIL 3317-01 can be your ideal purchase. In addition, it won’t take you more than 5 minutes to assemble this unit which is beneficial for everyone who’s looking to get on with their job. The DEWALT DWS779 is a 12’’ sliding compound miter saw which is designed for both beginners as well as professional woodworkers. When the former types of customers would appreciate the fact that this tool is pretty easy to use, the latter would certainly commend the hi-tech features which come integrated inside this model. When it comes to the miter angle range of the DEWALT DWS779, this is where this model stands tall against other sliding compound miter saw reviews in the market. This model has the ability to make miter cuts up to a staggering 60 degrees range on its right side and a further 50 degrees to its left. For beginners or other DIY workers, this is more than they would ever want in their ideal miter saw. Coming towards the professionals, such an impressive miter angle range makes sure that this model can cut everything which you throw at it without any hindrance. 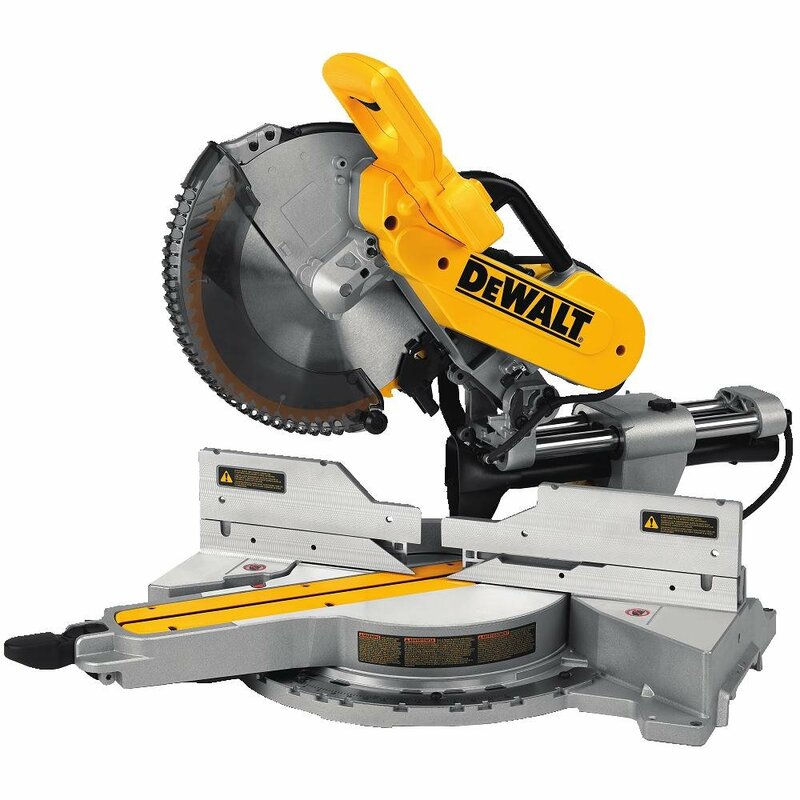 Moreover, you can tilt the blade in either direction as the DEWALT DWS779 is basically a double-bevel miter saw. 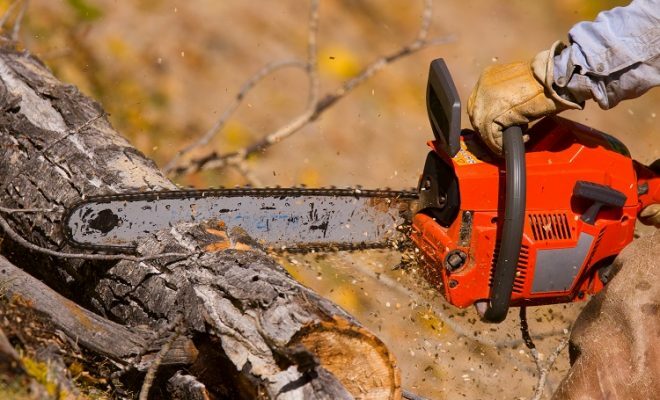 It also has a sturdy back fence which allows you to cut up to 2 inches by 16 inches lumber at an angle of 90 degrees and a further 2 inches by 12 inches at an angle of 45 degrees. You can mount the dust bag, which comes included with this purchase, pretty easily and it has the ability to capture up to 75% of the total dust which is being generated by the DEWALT DWS779. The DEWALT DWS779 is equipped with a transparent blade guard which works quite well to keep you out of the harm’s way. When it covers the blade when it isn’t working, it simply goes out of the way once this 12’’ blade comes in contact with any piece of material. The DEWALT DWS779 is designed for all those users who want the best sliding compound miter saw from a plethora of faulty ones. When you can move its blade back and forth, thanks to its double-bevel design, it also comes with an improved miter angle range which is much better as compared to the majority of other sliding miter saw reviews. The Hitachi C10FSHC combines a lightweight construction with a hi-tech functionality. Weighing in at just under 21lbs, this double-bevel miter saw makes use of a powerful 15-AMP motor along with the laser marker system to give you a perfect cut. Especially for the newbies, who’re always looking for a flexible miter saw to work with, this mode comes with a wide-range of features. If you often have to work in tight spaces, where there isn’t much of a space for a bulky miter saw, this is where the Hitachi C10FSHC comes extremely handy. Incorporating compact sliding system, this model does not require any kind of clearance space which means that even if this tool is placed against a wall, you can still move its blade back and forth without any hindrance. 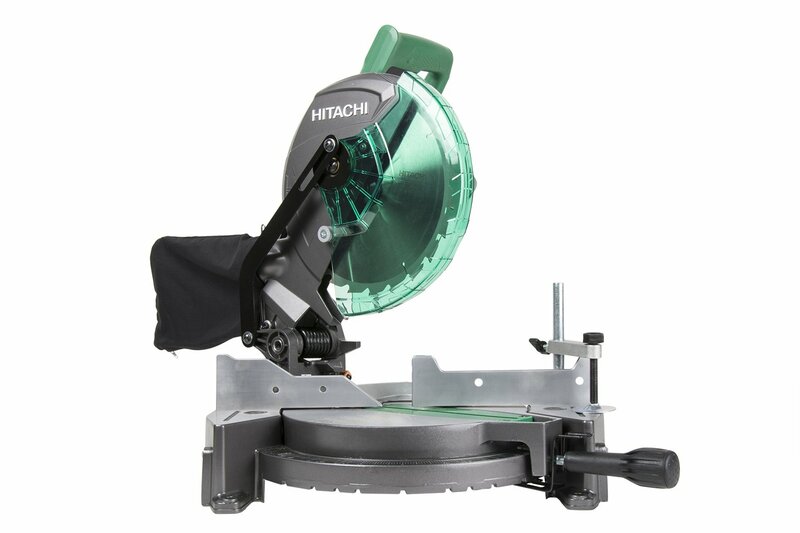 The Hitachi C10FSHC comes equipped with a bright LED light as you can even work with this best slid miter saw under limited light. When this light gives you increased visibility, you can work in low light conditions for a consistent duration of time. You can turn off the LED light with the help of a switch which is provided on the handle of this unit. However, if there is already enough light in your workspace, you can also turn it off. For making it easy to make precise cuts for even the newbies, the Hitachi C10FSHC features a tool-less-laser marker system. A separate switch is provided to turn on the laser marker and once you do that, a sharp red light will start appearing on the material which you’re going to cut. In this way, you’ll be fully aware of where exactly the blade is going to make the cut which eventually results in increased accuracy. Let’s face it. The Hitachi C10FSHC isn’t a cheap miter saw by any means. However, when you’ve to spend a decent amount of money upfront, this material has it all to give you a decent value for your money. For example, you can use it in tight workspaces, under low lights and when it also comes with improved flexibility, you can also use this miter saw on a wide range of cutting projects. The Bosch GCM12SD is a dual-bevel glide miter saw which is designed for all those users who’ve to work in a limited workspace. Incorporating an axial-glide system, this unit saves 12-inches of the expensive real estate as compared to its sliding compound counterpart. In addition, this unit comes with a lot of innovative features which makes it easy to get the job done in even the smallest of job sites. The Bosch GCM12SD is different from traditional sliding compound miter saws in a way as it comes without the rail set up. The rail-less design requires limited rear clearance which makes eventually makes this a viable model for use in compact job sites. You can use it as close to the wall as possible and it will still produce accurate cuts. By eliminating this traditional setup, this unit isn’t vulnerable to rail deterioration as well which tends to happen with a lot of other miter saws after consistent use. As a result, you don’t have to calibrate this unit every now and then which saves a considerable amount of time on a longer run. One thing which I found very impressive about the best compound miter saw is that it comes with an increased capacity. 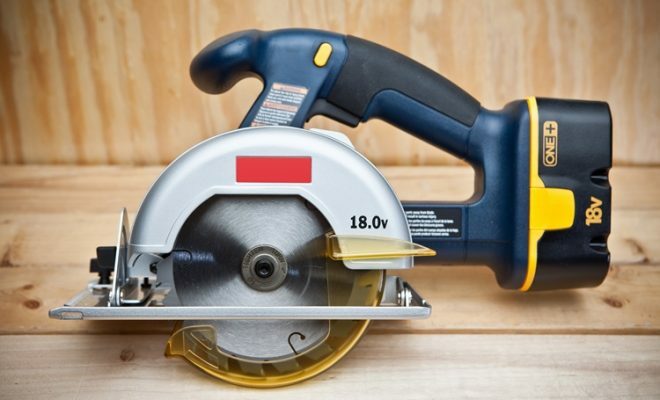 For a 12’’ miter saw, this equipment does pretty well of cutting thick materials as when it can cup up to the range of 16 inches horizontally, it’s vertical cutting range goes up to 6.5’’. When it comes to crown cutting, this unit does that too as you can use it on a crown up to 6.5’’. Coming towards its bevel angle range, you can swing this glide miter saw from 0-47 degrees on both sides. For making it easy to work at the famous angles, Bosch has marked out all such angles on the bevel scale. Apart from using the Bosch GCM12SD with the 12’’ blade which comes included with this purchase, you can also use this model with a wide range of other blades. This is quite unique for any miter saw but however, you’ve to purchase the other blades on your own as the manufacturer isn’t providing them with this purchase. Weighing in at 65lbs, the Bosch GCM12SD is a heavy-duty miter saw which comes in a compact design. Ideal for small workplaces, garages or any other job sites, this product can handle everything which you throw at it with an impressive cutting capacity. The Makita LS1016L comes with a 15-Amp motor which helps it’s 10’’ blade to run at a speed of 3200 Revolutions per Minute. When this unit is designed to work with larger chunks of materials, it makes it easy to tackle the resulting vibrations with the help of a soft handle. Apart from absorbing the vibrations, this is a rubberized handle which enhances your grip over this miter saw. In addition, it also comes with a dirtbag which makes sure that your workshop remains as clean as possible on a consistent basis. 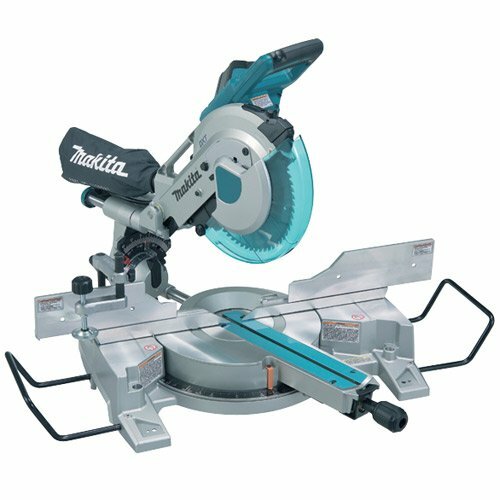 The Makita LS1016L is basically a dual bevel compound miter saw which means that you can tilt its handle on both sides. The bevel angle range of this model varies from 0-45 degrees and there are 4 positive stops on either side. As per its miter angle range, it consists of 0-52 degrees on the left-hand side and 0-60 degrees on the right-hand side. This is where the Makita LS1016L shines brightly as not many other products – in this category – comes with such an improved miter angle range. Just like the bevel angle scale, there are marked detents on the miter scale which makes it convenient to work on the most popular cutting angles. For making sure that the speed of the 10’’ blade remains constant throughout the operation, the Makita LS1016L comes integrated with an electronic speed control. So regardless of the thickness of the material, you won’t experience the slowing down of blades thanks to such a unique construction. For unmatched accuracy, the Makita LS1016L comes equipped with a built-in laser so you’ll be aware of where the blade is going to cut. When it allows you to make minor adjustments before starting the process, it also results in a more accurate work for your own convenience. The Makita LS1016L is ideal for beginner to medium-level users who’re looking for a high-quality 10’’ miter saw. Highly efficient, this is a long-lasting machine which can be used for years to come. 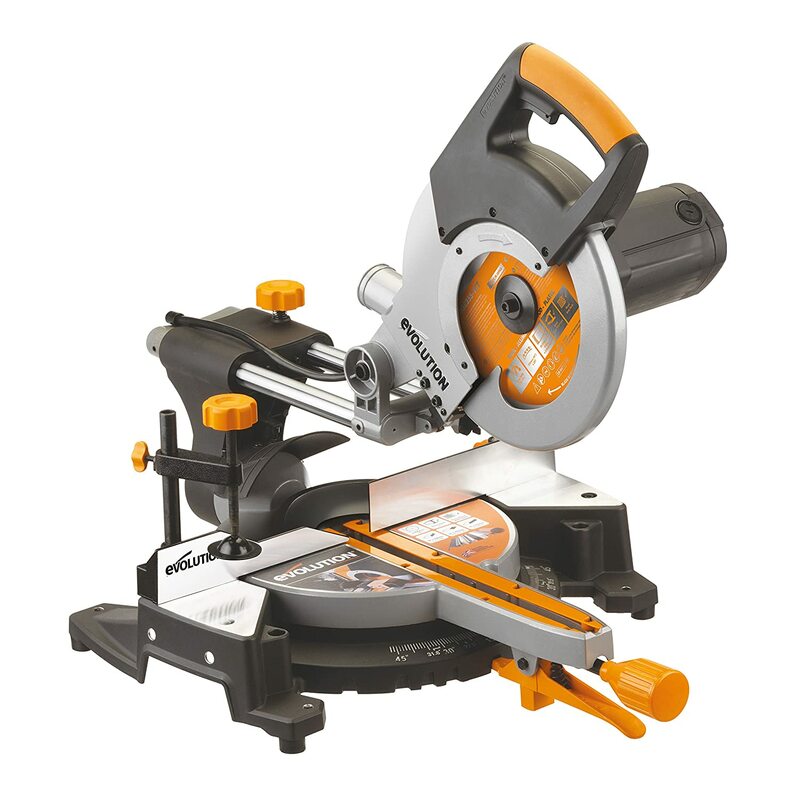 If you’re an occasional woodworker, or someone who is looking for a casual miter saw to complete his daily DIY projects, this is not the product for you. 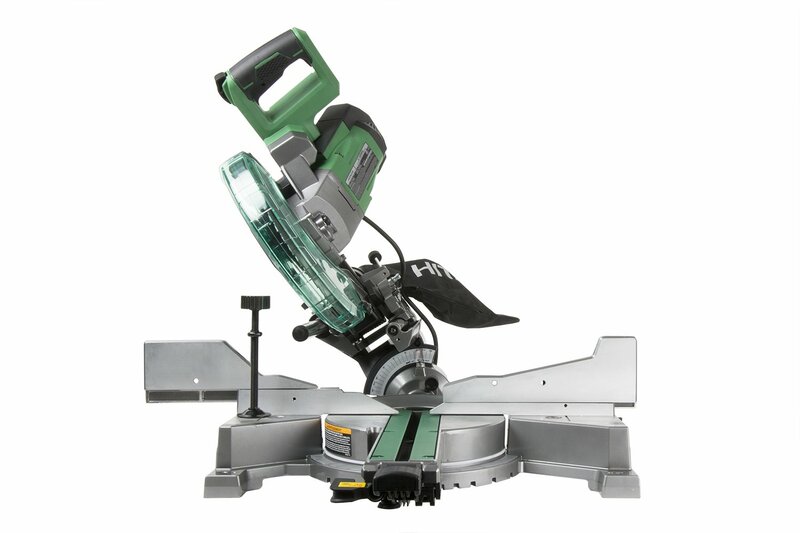 However, if you’re a professional, who is serious about his woodworking job, have a look at the Festool Kapex KS 120. One of the most expensive products in this category, the KS 120 is designed to handle real heavy-duty applications. Incorporating a wide range of hi-tech features, there aren’t any many projects, in a workshop, which cannot be completed by this powerhouse. 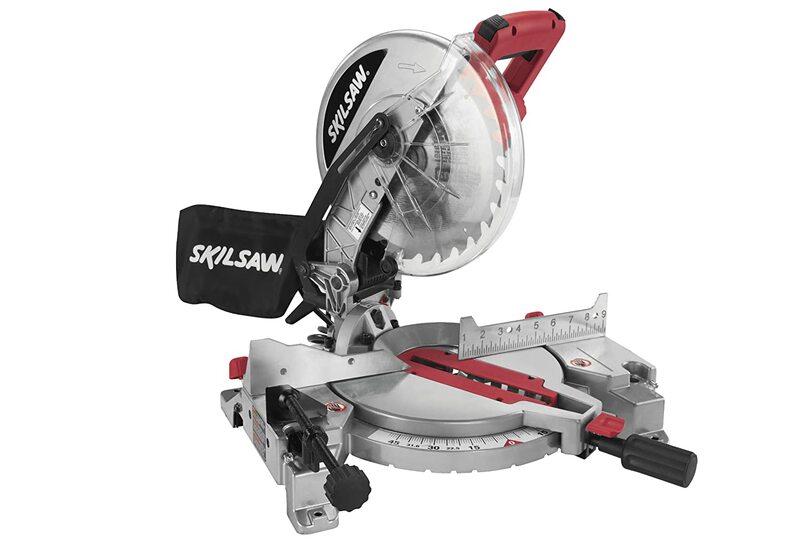 You can use this miter saw for cutting woods, soft plastics along with other such materials. At a time when a majority of other manufacturers are content on using a single laser in their miter saws, Festool has come up with a unique double-laser technology in the Kapex KS 120. Extremely effective, this particular feature allows you to align your cuts from either side of the blade. Eventually, it results in such a precise cut which just isn’t possible with a wide range of other miter saws. A separate button is provided to turn on/off the laser which makes sure that you can use this saw with or without this mechanism. Both these lasers are electrically-powered so you don’t have to worry about purchasing a new set of batteries as well. The Festool Kapex KS 120 isn’t the lightest miter saw in the market, as the overall weight of this unit is 47lbs. However, for the ease transportation, this machine comes integrated with 2 handles on its either side. Even though you might have to exert a considerable degree of force for carrying this saw, but the two handles make it easy to transport. Another positive thing about this equipment is when not in use, you can lock its head down which makes it convenient to store in a proper place. The Festool Kapex KS 120 is extremely efficient when it comes to dust collection. Nowadays, when the majority of the miter saws tends to struggle in this aspect, this unit makes works in such a way which leaves your workplace 91% cleaner from any kind of dust. It does so by making use of an integrated dust port which, as you work on different types of materials, directs the sawdust directly into dust port. When this port can work with both 36mm and 24mm hoses, it’s the former which you should prefer for a better dust collection. If money is not an issue with you, and you’re looking to purchase something of the highest-quality, the Festool Kapex KS 120 is worth a try. Featuring a dual laser design along with a superior dust collection mechanism, this product will do your job without spreading unwanted sawdust in your workplace. When it comes to today’s market, there are three famous types of miter saws: Basic Miter Saw, Compound Miter Saw, and Sliding Compound Miter Saw. All three of these types have their own sets of pros and cons so before choosing any one of them, it is imperative to have a little know-how about the afore-mentioned types. The basic miter saw is used for simple cutting projects including crosscuts as well as miter cuts. As evident from its name, it isn’t a very versatile cutting device so you cannot produce a wide range of cuts with a basic miter saw. As per the sliding compound miter saw, it is the most versatile form of miter saws which you can purchase from today’s market. Basically, it comes with all the features of its compound counterpart. However, one thing which is unique in a sliding compound miter saw is the presence of a sliding arm. With its help, this equipment can produce wider cuts as compared to that of any of the aforementioned types and you can also use this saw on much thicker materials. But when it comes with such a superior functionality, it also comes at a much expensive price as compared to other types of miter saws. When it comes to a wide-range of miter saws, most of them comes fitted with either a 10-inch blade or a 12-inch blade. Both these types of blades are designed for specific purposes and when they come with distinct capacities, it is imperative to know the difference between them before choosing any one of them for your workplace. A 10-inch blade is generally faster as compared to a 12-inch blade. The reason behind it is when the former incorporates a smaller radius, which allows it to spin faster, the latter incorporates a much larger radius. Greater the speed, smoother the cuts which will be produced by that particular blade. A 10-inch blade is normally available on almost every hardware store which makes them easy to replace in the moment of emergency. In addition, this type of blade is more affordable and you also have to spend a lesser amount of money when it comes to sharpening a 10-inch blade as compared to its 12-inch counterpart. The biggest drawback of using a 10-inch blade is that they come with a reduced cutting capacity. You cannot use them on thicker materials as their cutting range is normally restricted to a material with 6 inches of thickness. So if you’ve to perform big projects, a 10-inch blade might not be feasible for you. When it comes to power, this is where the 12-inch blade is much better as compared a 10-inch blade. You can use them on thicker materials and they will produce effortless cutting. 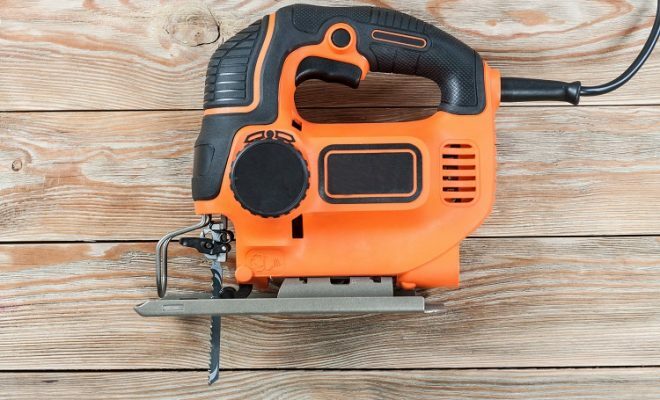 Moreover, if you’re a professional woodworker, who is looking to perform major projects such as decking with the help of a miter saw, having a 12-inch blade will make your job easier for you. Furthermore, a 12’’ blade is generally more durable as you can use it for an extended duration of time. This eventually helps in cutting through denser materials where a 10’’ blade tends to struggle on a consistent basis. The 12’’ blade is not very useful when it comes to performing simple woodworking projects. They also come at a much expensive price so as long as you aren’t fully sure that you will make the most out of this blade, it might be beneficial to stick with the 10’’ blade. Depending on the job which you’re going to do, you can purchase either a single-bevel miter saw or a double-bevel miter saw. With a single-bevel miter saw, you can make cuts in one direction only. It is designed to tilt – from its vertical position – to either left or right side so you can use it to make angled cuts in just a single direction. As per the double-bevel miter saw, its blade can be tilted to both left and right sides for making angled cuts. Even though you can use a single-bevel to perform similar functions to that of a double-bevel miter saw, it requires more adjustment. In this case, you’ve to flip over the equipment for making bevel cuts on either side of the wood. When it consumes a considerable amount of time, there is always the danger of producing inaccurate cuts as a result of such an unwanted movement. So if you’re going to perform an important task which requires utmost efficiency, it might be beneficial to invest in a double-bevel miter saw. However, if budget is your main concern, a single-bevel miter saw comes at a much-reduced price. For making sure the safety of its user, miter saws incorporate a number of safety features. 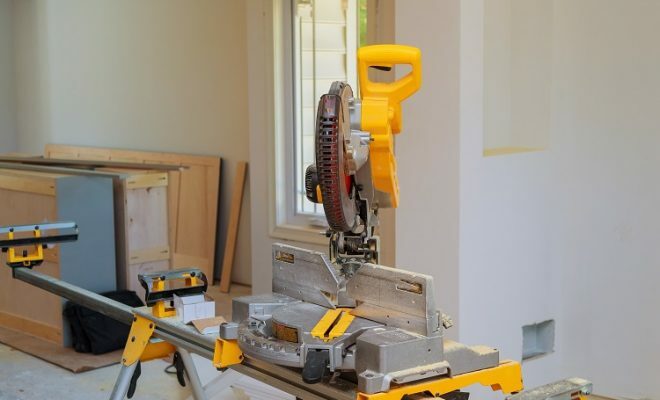 It includes electric brakes and fence guards so regardless of whether you’re investing in the best cordless miter saw or even in the premium corded miter saw, make sure that it comes with adequate safety measures.